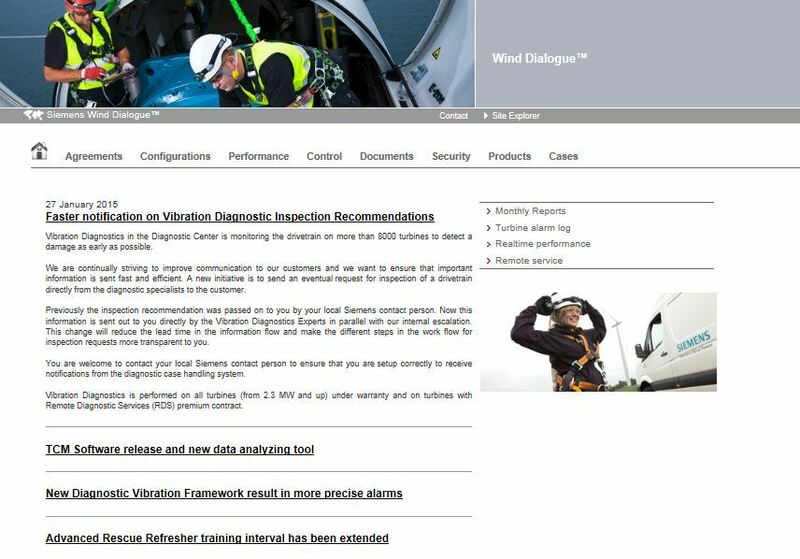 Wind Dialogue is a one-stop portal where Siemens shares all the critical information our customers require – giving you individual access to the most important data on your site. 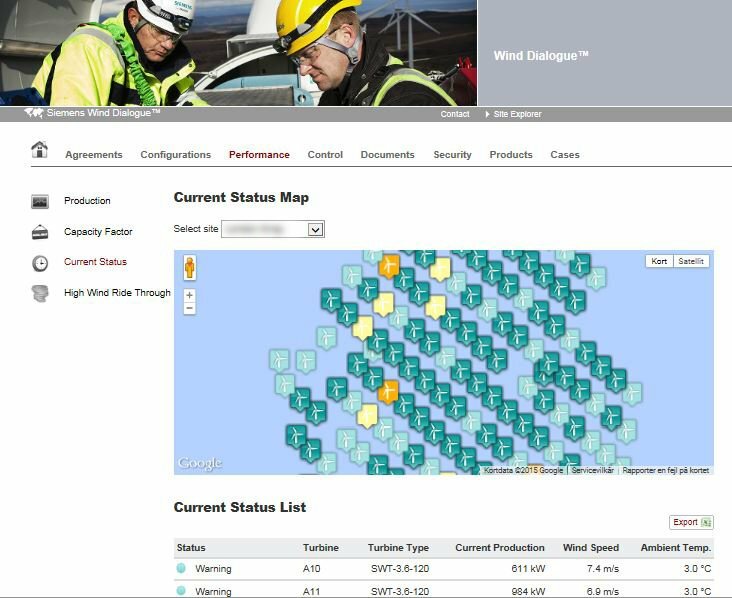 By being part of Wind Dialogue you obtain a complete overview of your wind farm data. This supports you in acting quickly when necessary, with the potential to increase your bottom line. Explore the tabs below to learn more about the benefits. In our continual quest to improve Wind Dialogue, your input is vital. It enables us to develop new features and content based on your needs and suggestions. 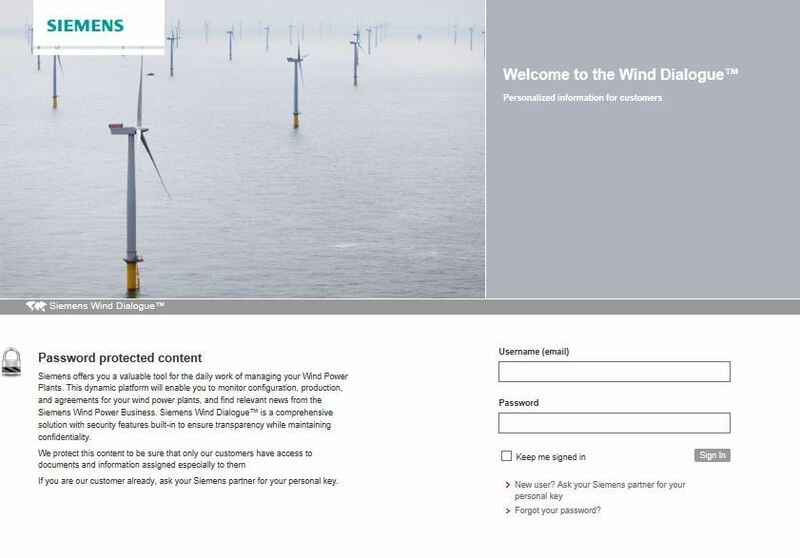 Please submit any feedback to your Siemens Wind Power contact person. 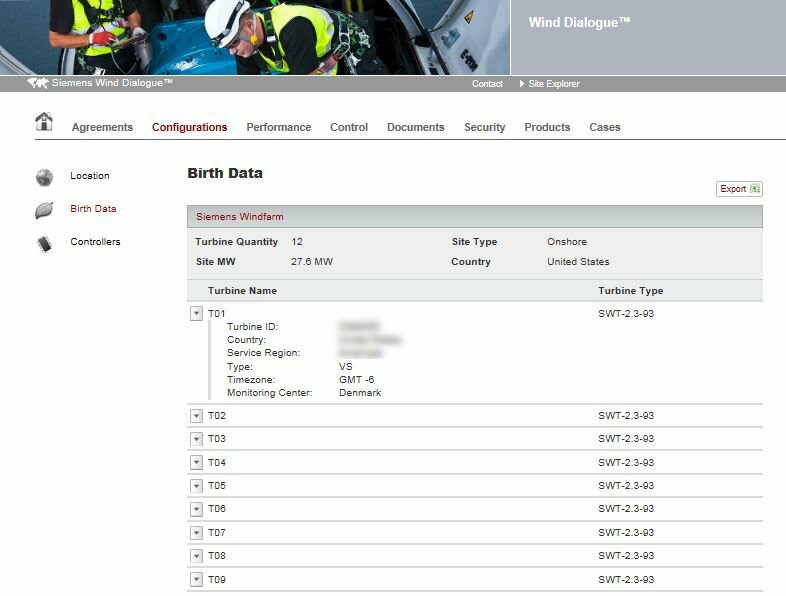 Wind Dialogue gives you a single entry point to Siemens Wind Power and all the data, information and services that are most relevant to your sites and turbines. With this portal, you can access a variety of information on your operations directly and conveniently – anytime and anywhere. 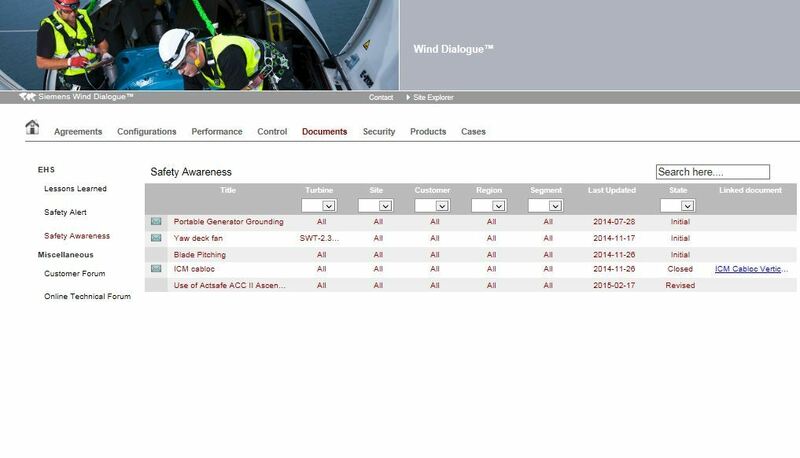 The idea behind the Wind Dialogue customer portal is to make your everyday life easier by giving you and your key employees a single customized point of access for all the data, documentation, tools and services you might require. 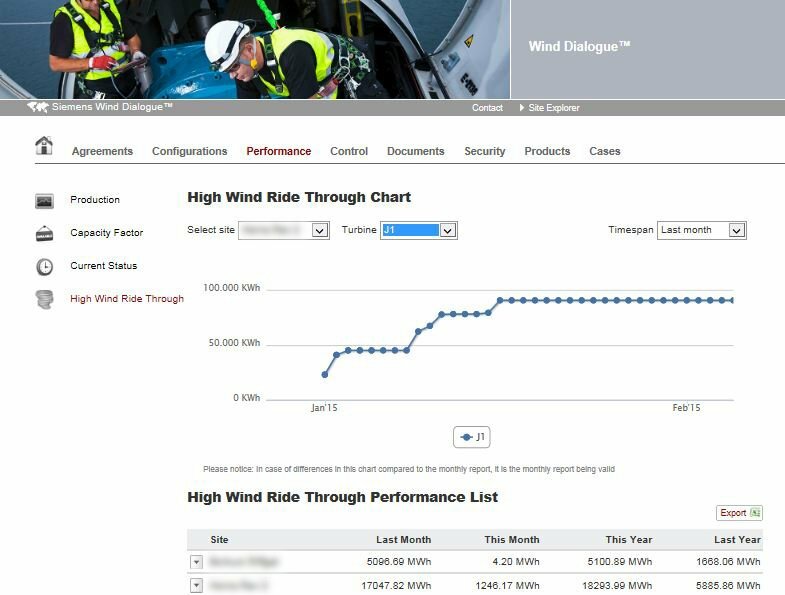 By digitalizing processes and putting the information you need at your fingertips, Wind Dialogue will increase your efficiency, save you time – and improve your bottom line. Besides giving you direct access to up-to-date, reliable data on your sites and turbines, Wind Dialogue also gives you relevant news and can send you automatic notifications. In addition, by presenting your data consistently and simply, the portal lets you increase transparency in your organization while protecting your production environment. All the data in Wind Dialogue is password protected, and you can assign people different levels of access. 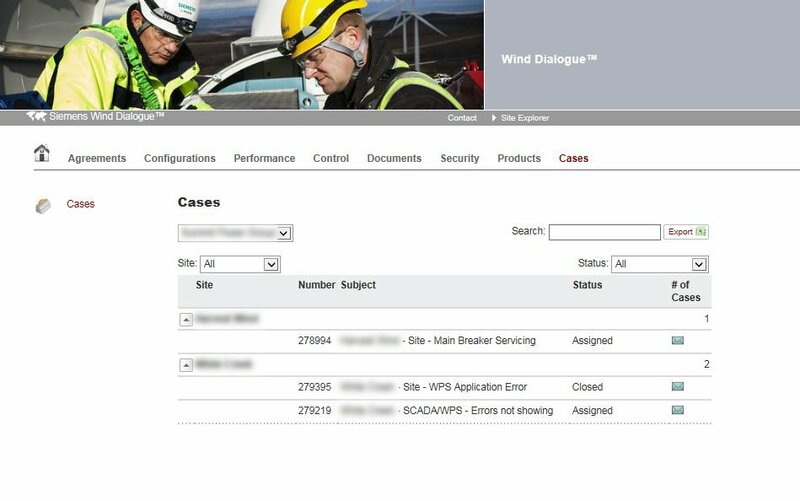 Every case logged by operations and project management is visible in Wind Dialogue, allowing you to review your cases and their current status. The production feature provides you with information about the power production of individual turbines and the site as a whole. A chart shows the production trend for the selected site over a given timespan – ranging from one month to the entire lifetime of the site. 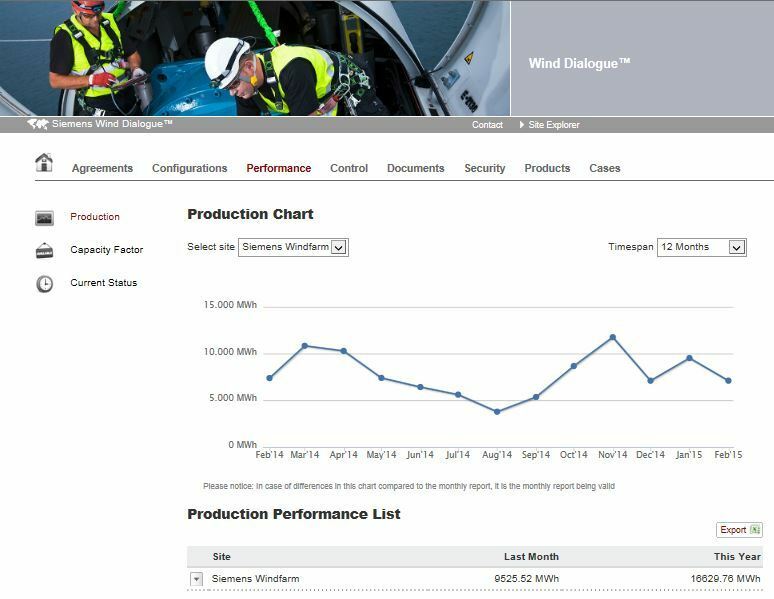 A compiled production performance overview shows you trends for individual turbines or an entire site for the previous month and the current year. All production data can be exported into Excel. The capacity feature tells you about the effectiveness of turbine production over time in comparison with turbine capacity. A chart shows the capacity trend for the selected site, with timespans ranging from one month to the lifetime of the site. A compiled capacity performance overview for the site summarizes data for the current year and month. The extra production gained through the modernizations (Mods) and upgrades (Ups) you have installed is shown as a production graph and list. This allows you to see the added value of these investments. The current status feature lets you see if all your turbines are running smoothly. A map shows the state, capacity, and current production of each turbine. A list provides more detail about turbines where events have occurred. 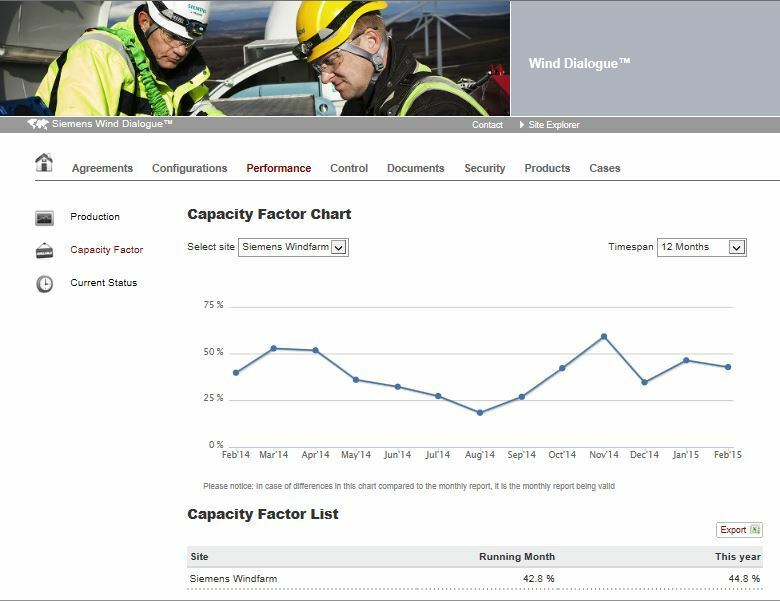 The Global Reporting Tool gives you a day-by-day overview of site and turbine availability. The tool enables both you and Siemens to register and comment on contractual adjustments on a daily basis, reducing your end-of-month workload. The tool covers both yield and time-based availability. 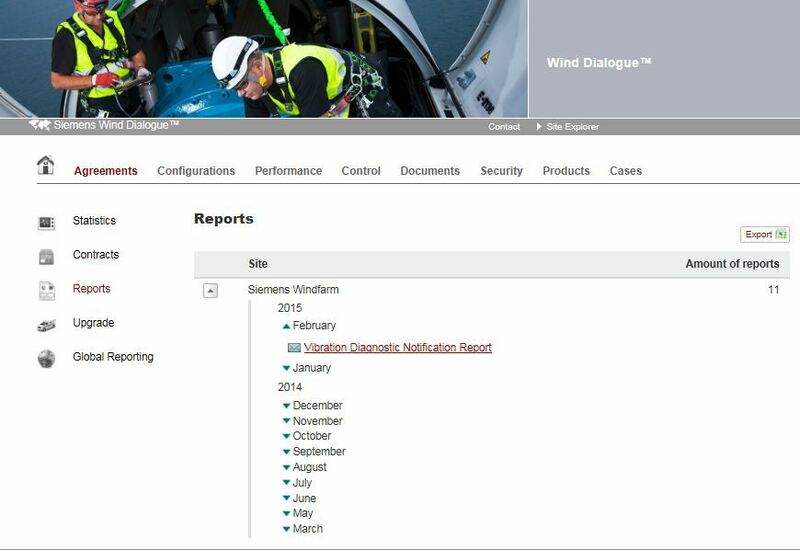 With Wind Dialogue, you can be notified instantly every time a new customer technical bulletin is issued. Each bulletin is a technical information package relating to a particular retrofit, elaborating on the issue and informing you how to implement the solution. • other customer safety communications. Wind Dialogue can send you an email when anything new is added to the portal. You can specify the type and frequency of these notifications. 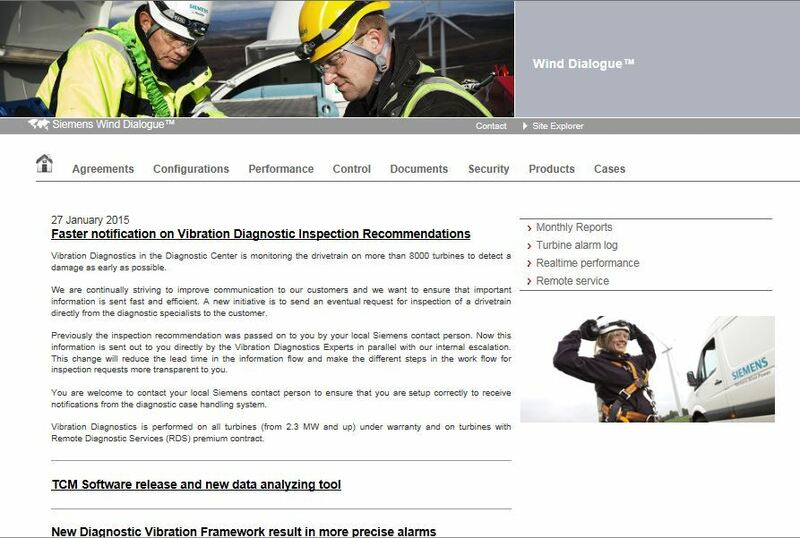 On the front page of Wind Dialogue, you’ll see news items that have been custom selected for your sites and turbines. Get access to various documents like safety alerts, customer safety communications, customer technical bulletins, online technical presentations, and much more. 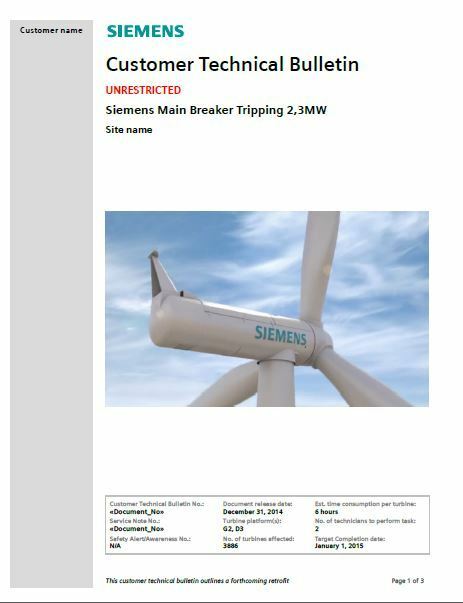 Since Siemens is always striving to make Wind Dialogue serve you better, we also add new types of documents regularly. 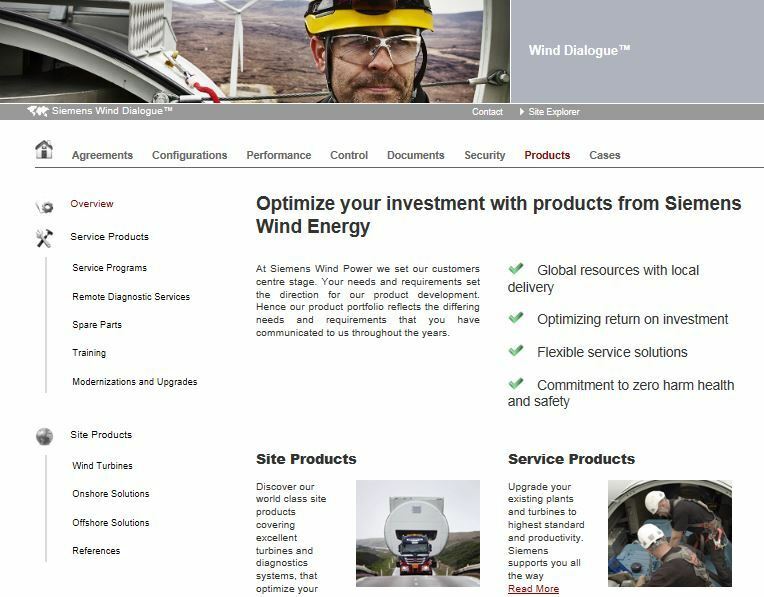 The Products tab informs you about the products and services available from Siemens. This product catalog complements the one on the public Siemens homepage. 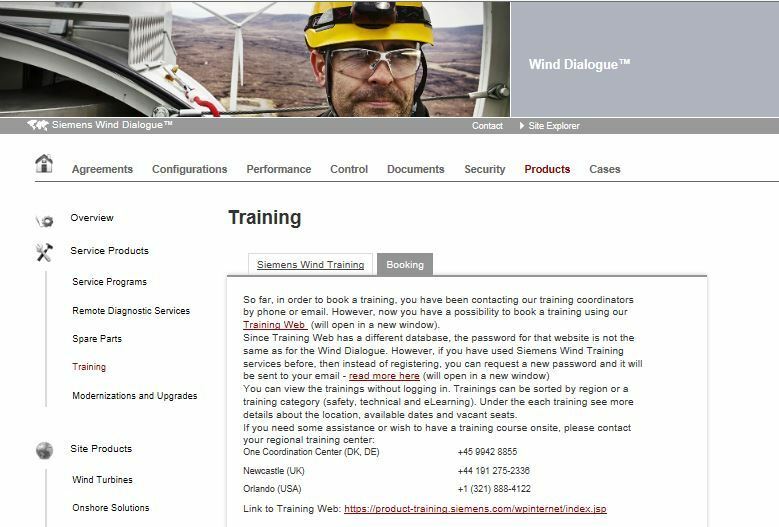 Wind Dialogue lets you access our training website directly. The training site gives you detailed descriptions of 140 different courses and allows you to book trainings online. The Contact tab contains details of the operational contacts for your specific sites, as well as the Siemens person to contact when you have any questions about our agreements or products. 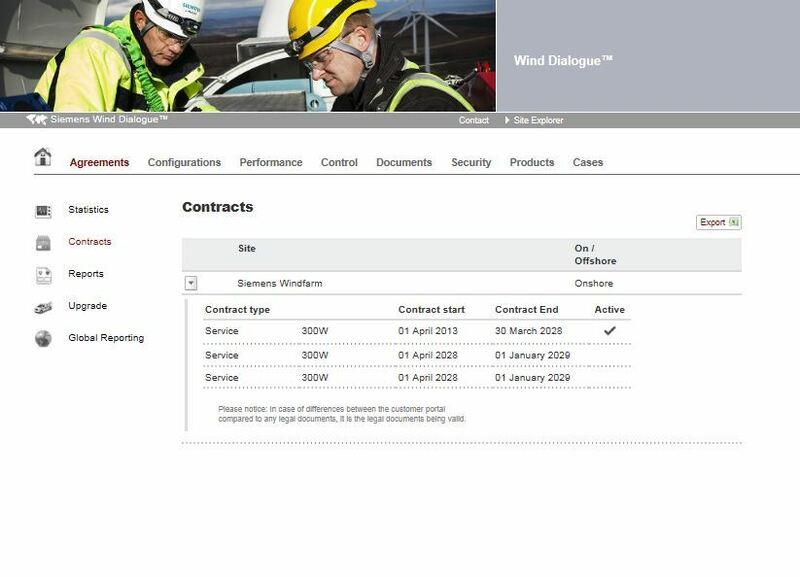 Wind Dialogue gives you master data for the Siemens contracts on your sites. It includes information on contract types, contract start and end dates, and whether the contract is active or expired. 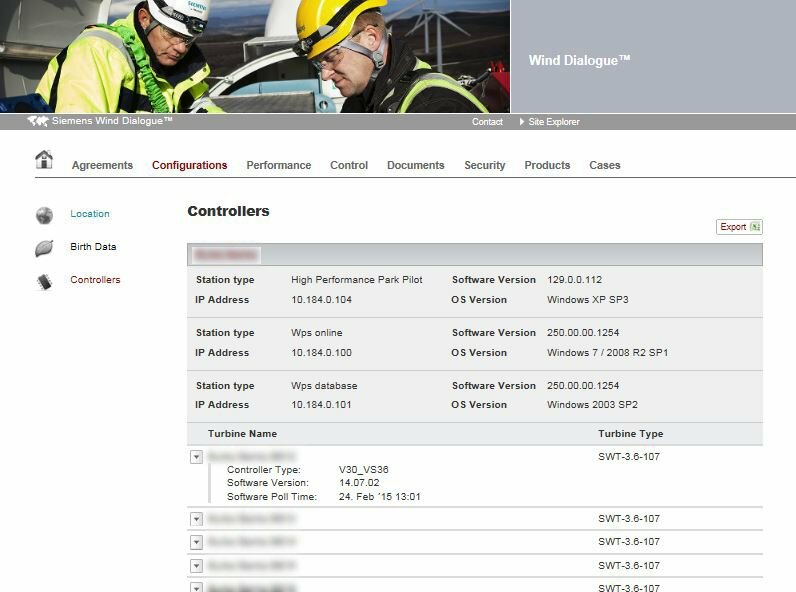 Here you can see information on the controller type and software version for each of your turbines, as well as on site units such as power controllers (HPPP) and SCADA systems (WPS Online). 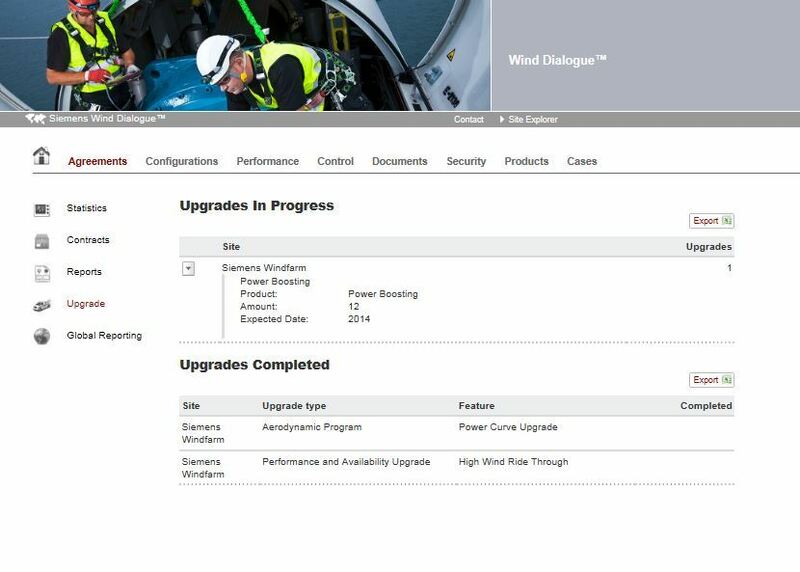 This page gives you an overview of the upgrades in progress on a specific site, including the upgrade type, the number of turbines affected, and the expected completion date. Completed upgrades are also shown. 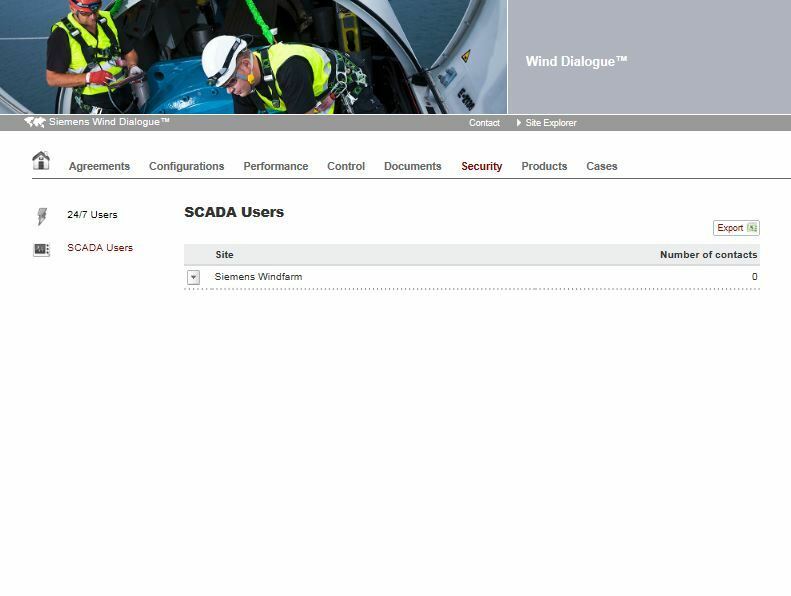 This feature shows who in your organization has access to the SCADA server on each of your sites. The remote service statistics show the number of events that have arisen on a given site, and how many of these events have been solved remotely by the Siemens surveillance and support departments. These figures indicate how much money the two departments have saved you by solving issues remotely instead of sending out technicians. If an event was not solved remotely, you and the regional service department will both have been notified, as per agreement. 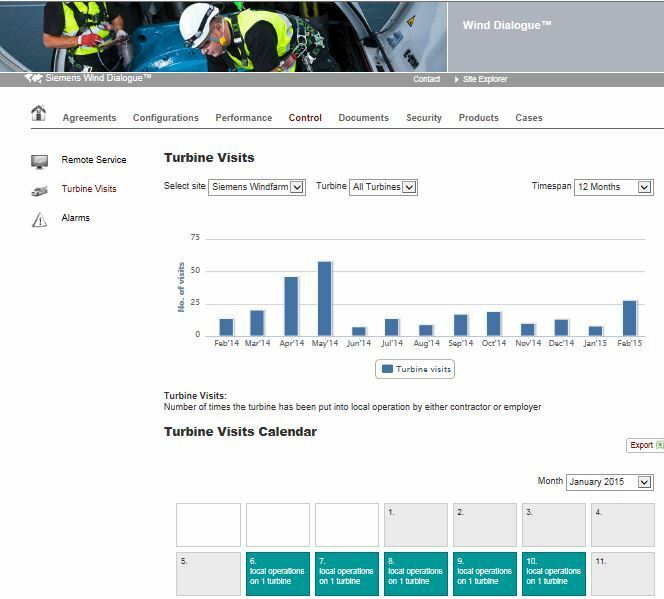 This page tells you the number of visits made to a selected group of turbines. A turbine visit is defined as "every time the turbine is put into local operation handle" – regardless of whether it was done by the customer or a Siemens employee. A calendar also how many visits there were for an individual turbine or for an entire site. It can also show you the specific dates of turbine visits. The alarms generated by a site are all listed in reverse chronological order. 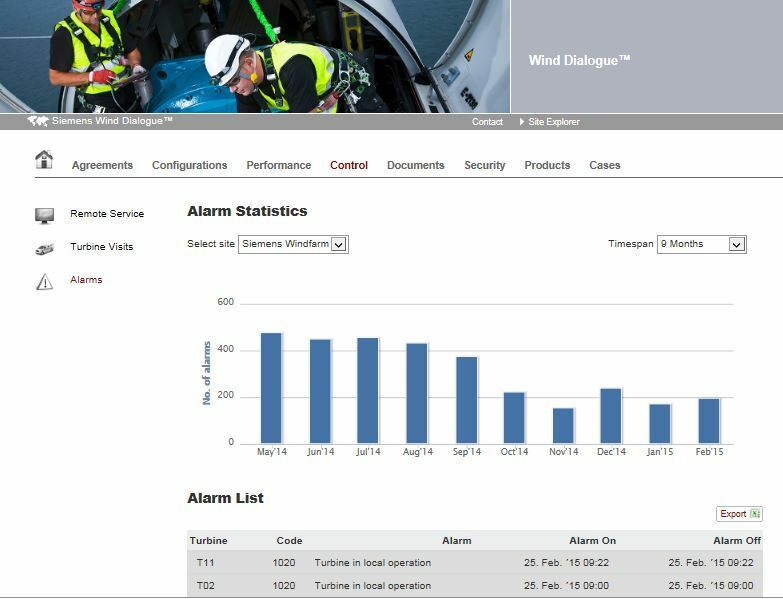 This can enable you to identify which turbine caused an alarm and when. 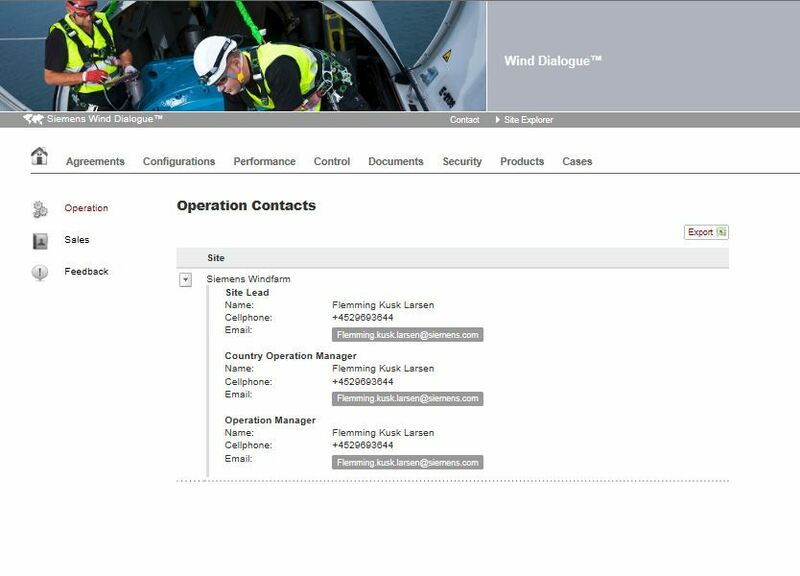 To receive access to Wind Dialogue, just contact your Siemens contact person.